Irina Antesberger was born in Austria in 2001 and has developed a passion for music and the cultural life and started playing the flute and the piano at a very early age. 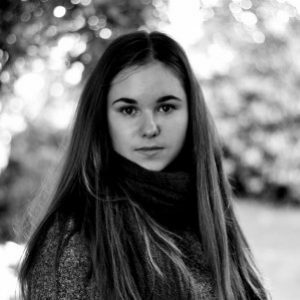 Moreover, Irina became a member of the youthchoir of Stadttheater Klagenfurt in 2013 and has also been taking voice classes since then, as she has already performed child-soloist roles as well. She likes attending opera performances and classical concerts all over Europe and her first novel is scheduled to be published in fall 2016.